Hello lovely!! My name is Elle Coffman and I’m the PR and marketing intern at My Social Canvas. I was a campus rep for three years prior to this position. Currently, I work closely with the campus reps, attend events within the company and the companies we partner with, work behind the scenes on future projects, and am always brainstorming new ways to reach out to others and grow My Social Canvas! In junior high, I was a Fashion Ambassador for Nordstrom. Lisa (CEO) visited various Nordstroms to promote My Social Canvas and also reached out to other Nordstrom Ambassadors on social media, one of them being me!! I posted a picture for a style campaign Nordstrom was promoting and I received an encouraging comment from MSC and wanted to get more involved, so I emailed the company, set up a call with Lisa, and the rest is history! Growing up I knew I wanted a career in fashion, and always desired to work for a company that had a greater purpose in the industry than just designing and selling clothing. I was always passionate about helping others and inspiring them to follow their dreams, so when I heard about My Social Canvas, I wanted to get involved in any way I could! I always had an inner excitement that I had never felt before when I worked on a project, or dreamed of future projects, with this company. I knew I was doing what I loved and wanted to spread that spark to everyone around me. The fact that this company gives the opportunity for girls to design the products we sell, receive scholarships, mentorship, and a positive community of ambitious woman, is such a beautiful thing. I recently graduated high school and moved to NYC a week after my graduation to intern with My Social Canvas. I feel like I’m already working my dream job, in my dream city, and I’m only 18 years old! I’m not saying this to credit myself, but to inspire and motivate you. Getting here wasn’t an overnight success, it took about six years to fully develop my dream into a reality. My interests in a fashion career began in 7th grade, and then started to really develop when MSC reached out to me. I continued to follow my passion and worked diligently for the rest of my high school career, which developed into this internship. In between those years, I stayed active with MSC, built a relationship with Lisa, continued to learn about the fashion industry as a Nordstrom Ambassador, was very involved with fashion experiences in NYC, started a fashion club at my school, and created my own clothing line. These experiences took a lot of time, hard work, and dedication, but I did it because it’s what I loved and it led me to where I am today. My advice to you would be to find out what you love to do, work hard while doing it, and the opportunities for college and your future career will fall into place! It is so important to discover what motivates you everyday. Music has always been something that gets me focused and in that “girl boss” mood. I love listening to “Unbreakable Smile” Tori Kelly, “Brave” Sara Bareilles, “Lovely” Sara Haze, “Scars To Your Beautiful” Alessia Cara, and “All He Says I Am” Kari Jobe. These songs remind me that I am a strong woman and am capable to design the life I love. I believe God has an amazing plan in store for our lives, and places unique passions in our heart. I challenge you to find what sparks your passion and incorporate it into your everyday life! I am not only inspired by music, but woman who are living out what MSC stands for! I’d love to see Michelle Obama (former first lady), Oprah (entrepreneur and philanthropist), Tori Kelly (singer/ songwriter), Jessica Alba (actress and founder of Honest Co), Sadie Robertson (Christian influencer and reality TV star), Bobbie Houston (co-founder of Hillsong church), Sophia Amoruso (author of Girl Boss and entrepreneur), and Cassey Ho (creator of Pop Pilates) be a part of our mission to help girls design a life and career they love! These women are my role models and I aspire to be like them! It would be a dream to work on a project together to provide education and mentorship for girls across the nation! I can’t wait to see what the future holds for My Social Canvas! If you want to join our community email me, elle@mysocialcanvas.com, and I’d love to share more about how you can be involved! Hi! My name is Shay Quinn and I am working at My Social Canvas (MSC) as a Marketing/PR intern this Summer. In terms of business and fashion I am fascinated with marketing, PR, product development and business development, merchandising, styling, event planning, etc. I am a creative soul, my mind tends to exercise abstract ideas often, however I am also very open to more concrete ideas and enjoy the contrast between the two, it allows my mind to be challenged and my skill-sets to grow. I have a long list of passions that I have acquired over the years that continuously keeps expanding, however my two penultimate passions are fashion and music. I have been singing ever since I could talk and have been writing music for as long as I can remember. As for fashion, I have always had a keen sense of style and sass ever since I was a little girl. I love styling outfits, layering accessories, and I especially love finding great deals! It’s a great feeling when you are able to buy something amazing and at the same time feel comfortable with the price tag! A few of my other favorite pastimes include hiking, writing, and trying new foods with friends and family! I first heard about MSC through one of my advisors, Libby Friedman at Connecticut College, as soon as she told me what MSC was all about I was immediately on board and wanted to connect with Lisa and Laura right away. MSC is promoting a spectacular message for young women, advocating for their education and encouraging young women to follow and pursue their passions in the real world. MSC aligns perfectly with my values and beliefs and more importantly, MSC has a real and relatable story backing their mission statement which works beautifully to elevate their team even more, making it an exceptional company to be part of. 1. Why did you want to get involved in MSC? What do you love about our mission of combining fashion and mentorship, as well as our business model of launching student designs for a cause? I’m really good at doing nothing… like, really good at it. Let me explain. I was never the best in school growing up, I always struggled to apply myself and attain good grades. However, I was always a huge dreamer; there was something deep within my heart that told me I could be anything that I set my mind too. So, when I started high school, I knew that I had to majorly change my perspective and work ethic if I ever wanted to reach my potential. So, I worked to turn myself from a slacker into a doer. And, within the next four years I was graduating high school with honors, giving my high school commencement speech, and on my way to a new adventure in New York City. I felt ready to take on the world! Then college happened, and I was more challenged than ever before. I’ve only been through one year, and I already feel like I’m in way over my head. So, when the time comes for me to go back to my home state of slow-paced, peaceful Kansas (save your Wizard of Oz jokes), it is so easy for me to relax and take it easy. Now, it is super healthy to set time aside for rest; as a matter of fact it’s crucial for your physical and mental health. However, when I went back home, I’d end up doing absolutely nothing for weeks. I would watch Netflix with my cat all day everyday, and have no qualms about it at all. As fun as this relaxation was, I knew I couldn't do this for three months. If I was going to keep pushing myself, and continue to discover my potential, I had to push past the fear and stop hiding in my safe place. To me, that is what My Social Canvas is all about and why I wanted an internship with them so badly. This company works to push women to the center stage, out of hiding, so that they can do the amazing things they were always meant to do. This company helps young women from all sorts of backgrounds meet their potential, but, it also helps young women to support and to help other women. Whether this support is through selling clothing and accessories to raise money for human trafficking survivors, starting funds for young girls to get an education, or shining a light on women in STEM fields, this company pulls in young capable women, mentors them into working professionals, and then pushes them out into the world with the tools to realize their own dreams and help other women in the process. This company has a truly powerful vision for women, and I feel super blessed to be apart of it. 3. What song motivates you to dream big as design the life you love? 4. Advice to high school girls that haven't started their college career? My main advice to high schoolers is to be patient with yourselves, and to not compare yourself to other people. Everyone is at a different place in their journey, and everyone is running a different race with different obstacles. Allow yourself to move at your own pace, allow yourself to fail, and allow other young women around you to do the same. Stomp on any jealousy that you feel towards other women and focus on what you are doing. If you focus on what the women around you are doing and focus on dragging them down, you won't have energy to reach your own potential. Let the success of women inspire you, so that you can learn how to also inspire women. 5. What role model or leader do you think we need to get one or our DTLYL shirts on? Considering that MSC puts such a large emphasis on educating young girls, I think that Malala Yousafzai is a brilliant role model that this company should highlight. Yousafzai has been through great hardships, but she embodies resilience. She is an inspiring activist for women's education, and has taken substantial steps in solving the issues that she sees. Moreover, I think she is a great example of how age, sexuality, ethnicity, gender, and religion should never get in the way of all people coming together for an important cause. Hi there! I’m Alyssa Orcuilo. I’m 20 years old and I’m from Staten Island, NY. I love fashion, learning new things, and hanging out with my friends and family. I am very passionate about helping people; more specifically, people with special needs and young girls! I wanted to get involved in MSC because it is exactly what I need in my life and I know other girls need it too! Ever since my interest in fashion grew to a level where I knew I wanted to pursue it as a career, I was motivated to grow my network, work hard, and get the best internships possible. But the competition was, and still is, extremely overwhelming. I am grateful to be from NYC where the opportunities are endless, but I couldn’t see myself reaching my true potential and landing my dream job. My Social Canvas gives girls community where they can all motivate each other and be confident in themselves. MSC also creates opportunities for girls who wouldn’t normally be financially prepared for college, by providing contests that result in scholarship funds! I love that MSC combines fashion AND mentorship. It is definitely overwhelming to make the transition from high school to college as well as making the decision to pursue one specific field. It is so helpful to have a mentor to guide you and assure you that you are making the right choices! It is also amazing to make friends and connections that you can relate to.When I first entered college, I felt SO out of place... I was attending LIM college and commuting from Staten Island. I didn’t like the commute and I didn’t like racking up so much debt. Yet, I didn’t want to go to the college in my town. But, once I started exploring more of what I liked and disliked, I realized it made sense for me to transfer and just go to my home college. Although my family and friends we so helpful during this time, I wish I had a mentor to really help me and guide me so I didn’t feel out of place and lost – I just needed assurance that it all made sense. Although I didn’t have a direct mentor to help me through this transition, I’m very motivated by my faith. There is one song that always motivates me to design the life I love is, “Who You Say I Am” by Hillsong Worship. It reminds me that God declared me to do great things in life. He will sustain me because He has called me His! I don’t have to feel worried or scared to take risks because I know designing the life I love will be SO worth it. Designing the life you love comes with exploring what you love, and I would advise high school girls ,that haven’t started their college career, to explore their likes and dislikes. Do not to let anybody’s judgements hinder you from what you really enjoy! At the end of the day, people will always have things to say about what you’re doing. But, exploring what you are passionate about (talking to new people, exploring different positions, taking on internships) will bring upon greater opportunities once you get to college. It’ll give you direction and your passion will shine through you. For example, direction and passion were two qualities that Maya Angelou, a woman I’m inspired by, exemplified. I believe that Maya Angelou would have supported so many of the values that MSC represents. She was an activist for women’s rights and shared amazing wisdom throughout her legacy. She never gave up through her hardships and pushed to stay positive throughout any circumstance. Maya Angelou is a hero, a leader, and a civil rights activist that made a difference in the world, and I believe that MSC is equipping young women and girls to be activists and changemakers like her. Hey beautiful, you're invited to join our Feed Your Beauty Club. In partnership with our inspiring DESIGN THE LIFE YOU LOVE Role Model and Advisory Board Member Haile Thomas (motivational speaker, teen health advocate, and Founder of HAPPY Organization) we have recently re-launched our Feed Your Beauty Campaign to inspire women and girls of all ages to make positive lifestyle choices when it comes to health and wellness. Our Founder and CEO Lisa has also been working with Haile on a top secret project for this exciting Feed Your Beauty re-launch. We can't wait to share the details with you this summer! In the meantime, we invite you to get involved. We're asking you to join the movement by sharing the campaign with your best girlfriends, your sisters, your moms, your roommates, co-workers...or any women and girls in your life that you think could benefit from this message. 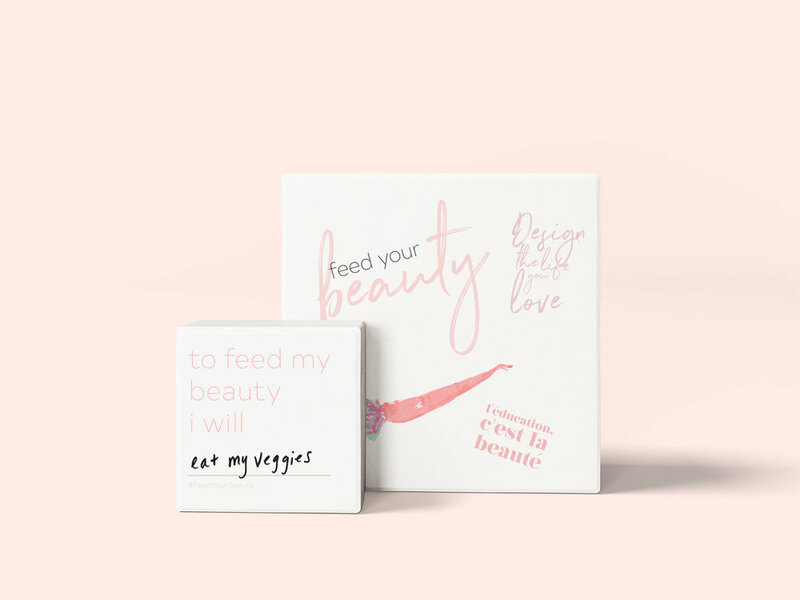 Sign up here to find out how you can be part of our Feed Your Beauty Club of women and girls that are confident and beautiful inside and out. We promise- you won't regret it, ladies! Michelle with a group of My Social Canvas campus reps at our 2016 Design the Life You Love Job Shadow Day. Michelle brought the girls to Elle for a tour and a Q&A on how to design the career they love! Michelle Luis is one of our Design the Life You Love role models! Michelle works at ELLE Magazine as the Ad Services and Operations Manager. We love how Michelle manages to pursue her dreams while investing in and supporting the dreams of others, and she’s already accomplished so much at just 30 years old! Over the last few years, Michelle has become one of our most inspiring supporters. 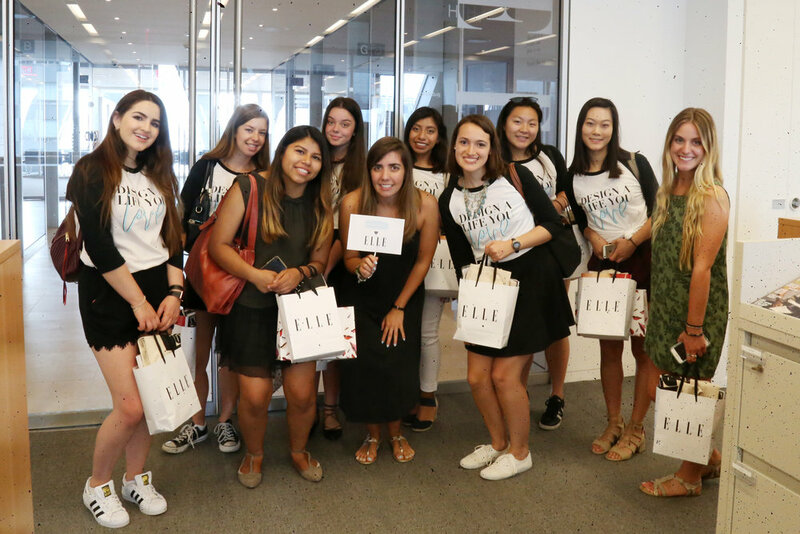 On several occasions, she hosted our campus community at Elle for our Design the Life You Love job shadow days, giving the students behind the scenes tours of the office as well as career advice and guidance to help them design the career they love! Michelle also participated in our Design the Life You Love Leadership Summit last fall and our #DesignHackathon where we invited fashion students and computer science students to design iPhone cases that will help girls learn how to code. What a rockstar she is, we are so thankful for her support! Keep reading to hear more about the people that inspire her, how she heard about MSC, and her favorite dance party song! 1. What’s something you do to design a life you love every day? I keep in touch with people, like friends from different points of my life and plan outings with them as often as possible. I understand that people are busy, but it is important to stop and “smell the roses,” you know? I love finding the time to hang out with my friends and family. From grabbing a coffee, wandering Bloomingdale’s on a Saturday morning, or trying out a new restaurant. Sharing moments and interacting with others is what makes me the happiest and makes me realize that life is a beautiful journey that goes by way too fast! You have to savor every moment. 2. We know you love to give back (and one non-profit you support is Charity: Water). Why are you passionate about supporting their work? I LOVE Charity: Water. I cannot stop talking about it – that’s how Lisa and I actually met. I am passionate about nonprofit and volunteer work because I feel like I want and need to give back. Charity: Water’s mission is a simple one – to provide clean water to those who don’t have access to it. I love to share their mission to anyone who will listen, it’s a reachable goal if we donate and all of our proceeds go to their water projects. I volunteer through Catholic Charities in NYC as well, their Feed the Homeless Run is such a great way to give back and realize how fortunate one really is. I consider myself a conscious consumer, I love when I purchase products that help others in need. In addition to My Social Canvas and your Design for Her Edu collection of tees and products that support education for girls, I am also a huge fan of TOMS. I also love to rock my LOKAI bracelets every day! 3. What’s your favorite part about working at Elle Magazine? I have been at ELLE Magazine for 3 and a half years and my favorite part of the job is the team! Everyone here is hard-working and respectful. I know this is cheesy to say, but I think I found my place. I feel appreciated here and that is what I sought out for in the workplace. The ELLE Tribe, as we like to call ourselves, is made up of smart, motivated and fun people – who wouldn’t want to work with and for people like that? Besides, the brand is amazing and resonates with me. 4. What made you want to host our My Social Canvas Job Shadow Day? This answer is a blend of my answers from the above questions. I met Lisa while volunteering with Charity: Water, and we got to a lovely conversation about what we do and how we love the brand’s mission as well as our belief in giving back. She explained what My Social Canvas was about and I immediately thought about hosting some of the girls. “Why not?” is the first thing that pops into my head when a new opportunity pops up in my life. I figured that the girls who were part of My Social Canvas were going to inspire me and I hoped to do the same to them. It was a quiet Summer Friday afternoon in the office, but the questions were spot on and I was very proud to show them the Hearst Tower and the ELLE offices. Growing up has its perks, but I told them to enjoy every moment of high school and college because it goes by way too fast. This is such a good question, I have a whole notes section on my phone dedicated to inspirational quotes. The most recent quote that I love is “Who decides what a meaningful life is?” I think this quote asks a very important question and can be answered in so many ways, depending on the person. Another phenomenal mantra of mine is: "Play with the world!" 6. How do you recharge? I love to travel and try new things. When I buy a plane ticket to somewhere new, something happens to my mood – I can’t help it, I get so excited and happy! When I am away from my every day, I can’t help but feel relaxed and appreciative of the moment as well as my amazing life. I think having a great life takes work: it’s not easy, but it’s so worth it! Travel brings me this sense of freedom that I love to embrace and have fun with while I am out on adventures with my family, friends, and even on my own! 7. MSC is a big fan of the #OfficeDanceParty. What’s your favorite dance party song? Too long of a list! My current obsession is Danza Kudoru – I absolutely love this song and it just makes me so happy. I will never forget when I played it constantly on my most recent trip to Brazil! This song brings the biggest smile to my face, and I immediately want to dance and sing (anyone who knows me, knows I shouldn’t sing with the voice I have). 8. Who do you consider your role model? 100% my mom, or as I like to call her, my "mommadukes Bels"– is that even a question? She is the ultimate woman—a fantastic role model! She is so funny and doesn’t even know it. She is so strong and has an unbelievable work ethic. She and my dad taught my brother and me the importance of family and that lesson is one that I will carry with me my whole life. She has always has given me solid advice and still loves me when I don’t take it, but as I get older, I do follow it and appreciate it so much because she really only wants the best life for me. She is my biggest supporter and I am her biggest fan—it works out for both of us. Her cheesy texts, emails, and Facebook messages keep me going. Okay, I need to stop, or I can write a whole essay on how amazing she is and how everyone who knows her and has her in their life is better off for it! 9. Could you share a project that you have been involved in at Elle that has made you most proud? I get excited about working on our big annual issues – March & September! The whole team has this revived energy when these two issues come up. It is crazy to be part of such big projects! It really is “all hands on deck” type of feeling in the office. Everyone is working so hard, so fast! Hitting our goal in these big issues takes a village and when it’s all said and done, it feels really GOOD! Michelle has been a huge inspiration, and we loved getting to hear from her. Thanks, Michelle, you are such a positive and fun influence on all of us here at MSC! Haile (our Feed Your Beauty partner) is a CNN Heroes Young Wonder! We are so proud to announce that our Feed Your Beauty partner Haile Thomas has been selected as a CNN Heroes Young Wonder for 2017! Haile is a true inspiration and change maker. 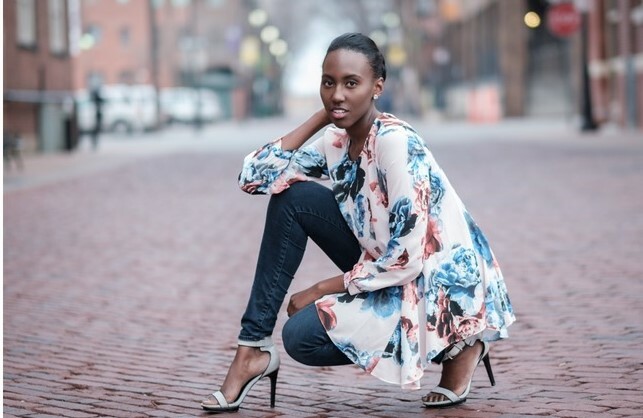 At just 17, Haile has already shown us and the My Social Canvas campus community that you're never too young to dream big and design the life and career you love. Hear her story on CNN on December 15th at 10 ppm EST. 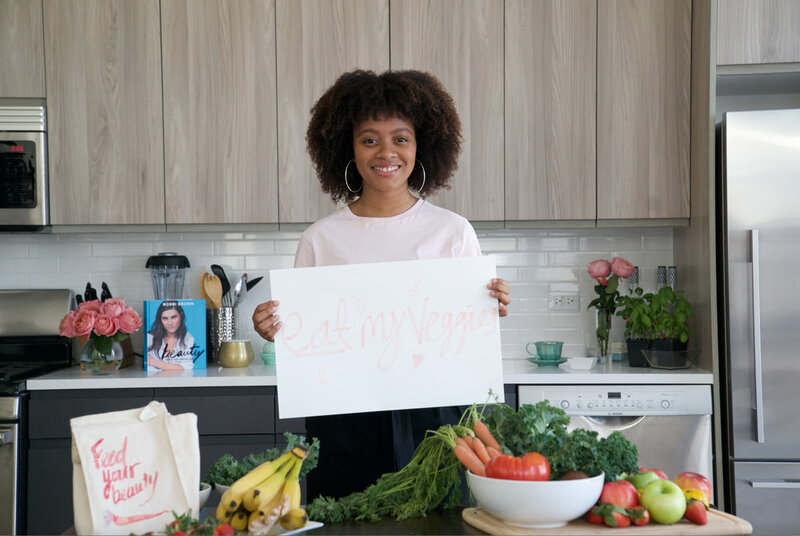 To read about our collaboration with Haile, visit our Feed Your Beauty page to hear about our work inspiring women and girls of all ages to eat healthy and make positive lifestyle choices. Also, don't forget to check out Haile's non-profit HAPPY! This is Elizabeth French, the designer behind MSC's Confidence is Beautiful design created for The Female Quotient! My Social Canvas recently launched a new design "Confidence is Beautiful" for The Female Quotient. The design was created by MSC College Designer Elizabeth French, a student at Chapman University! MSC believes that when you are confident in yourself and follow your passions wholeheartedly, you are the most beautiful version of yourself! We have already seen some incredible women sporting the tees and spreading the message. The Confidence is Beautiful collection is being sold through The Female Quotient, a company founded by Shelley Zalis in 2013. TFQ went from a moment to a movement. The Girls’ Lounge was born after founder Shelley Zalis experienced the power of the pack in 2013. Zalis invited some girlfriends to join her at the male-dominated Consumer Electronics Show, and told them to invite their friends. About 50 women ended up walking the floor together. It was a “heartbeat moment” where the minority felt like the majority. What started as an informal female gathering has turned into a movement that emphasizes collaboration and mentorship to activate real change. In addition to the Girls’ Lounge, The Female Quotient also offers research and strategy solutions for forward-thinking corporations to give companies and leaders the tools they need to design the culture they want. TFQ's mission is to advance gender equality in the workplace. When you put women in any equation, the equation gets better. Learn more about TFQ's CEO Shelley Zalis! Shelley Zalis is one of the most well-known thought leaders for advancing equality in the workplace. As the first female chief executive ranked in the research industry’s top 25, she changed the game, brought emotion and passion to the boardroom and has devoted herself to becoming a mentor and friend to women and leaders in her industry. Today, through the Female Quotient, Zalis is sharing her mentorship and amplifying her message of equality to business women and entrepreneurs across many industries and levels. She is a sought-after speaker, talking at prominent events such as The Wrap’s Power Women Breakfast. Zalis authors a Forbes column that provides inspiration and advice for women in middle management (“the messy middle”) who are looking to rise up into leadership positions.